If you are like me, there can never be enough recipes for meatballs. 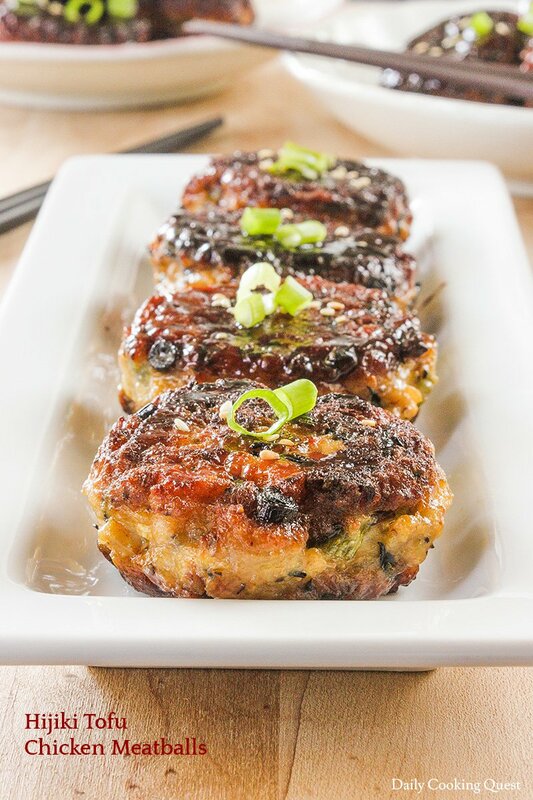 So today I share with you this super easy hijiki tofu chicken meatballs, with easy teriyaki sauce for glaze. 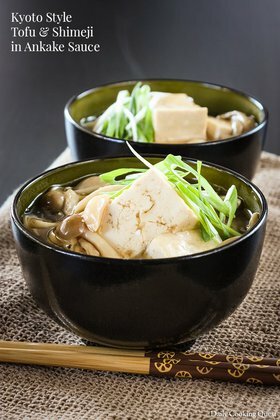 I love Japanese meatballs since most incorporate tofu with the meat, and making the meatballs (and burgers too) incredibly soft. If you have toddler, or conversely elderly, that benefits from easily chewable food, you must give this meatballs recipe a try. 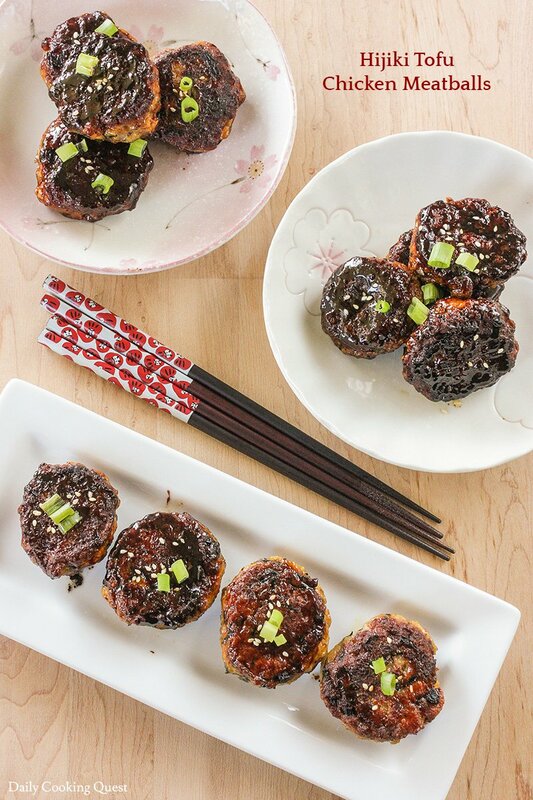 You will need hijiki seaweed to make this meatballs. If your supermarket stocks konbu and nori, you should be able to find hijiki right around the same spot. Otherwise, you can also buy hijiki from Amazon. There is nothing fuzzy to make the meatballs, just mix everything together, then fry until golden brown. 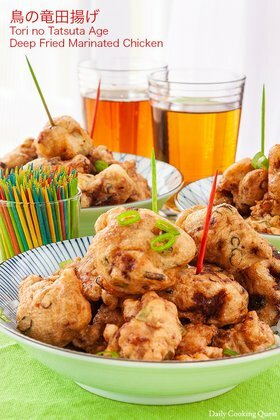 You can, if you want, serve the meatball as is, but the easy teriyaki sauce is not complicated at all and all kiddies (and adults too) love anything teriyaki. When the meatballs are cooking, you can start making the teriyaki sauce. 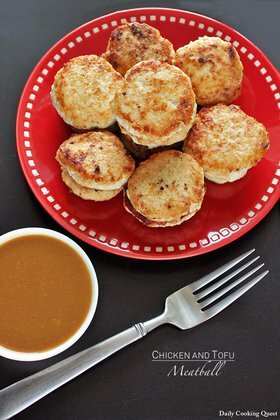 Simply mix together two tablespoons each of sugar, soy sauce, mirin, and sake. Once the meatballs are cooked, pour the sauce into the pan. Toss the meatballs gently to coat with the sauce, and once the sauce is thick, turn off the heat and the dish is done! 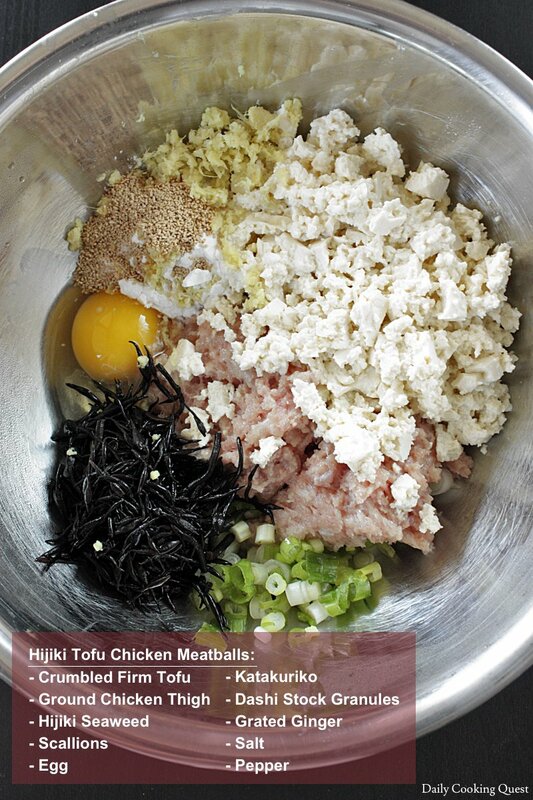 Mix together all ingredients for hijiki tofu chicken meatballs. Heat 2 tablespoon oil over medium heat in a frying pan. Once the pan is hot, coat your hand with a bit of oil, then shape the meatball mixture into golf ball size, and drop into hot pan. Fry the meatballs until all sides are golden brown. Once the meatballs are cooked, add the sauce into the pan. Coat the meatballs with the sauce, and stop cooking once the sauce thickens and coats the meatballs. 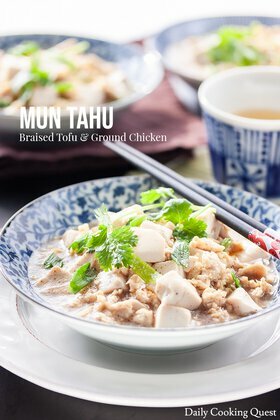 I LOVE this recipe as does my 3 year old. We eat it w simple noodles with a sesame oil based dressing and some fresh herbs like cilantro, mint and basil. Not traditional but it works. Glad your 3 year old loves it. These are indeed kiddie favorite. I am also loving how you pair the meatballs with sesame oil noodles.